Turning and Running with the ball. 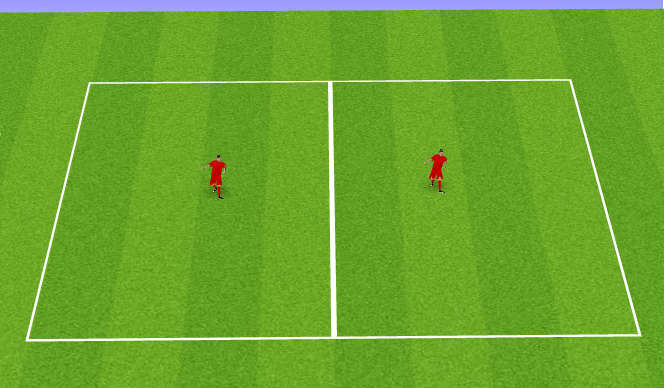 different turns are used at the centre cone and change side to use both feet. A passes to B and then follows his pass.B takes a touch and plays to D.D plays a wall-pass back to B. 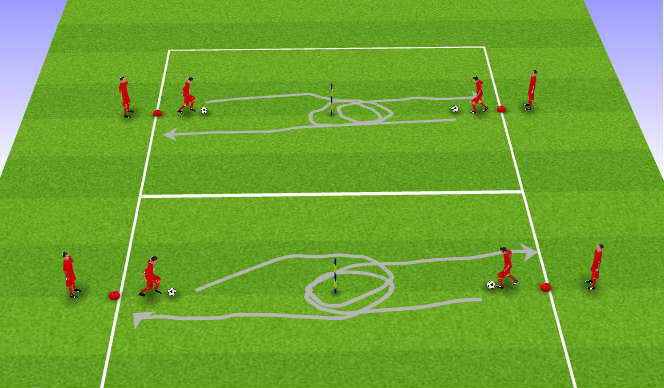 B moves, receives and dribbles to the cone.He then turns and plays to C, the process repeats, change sides.